ForTechiesOnly: Google Glass challenger Telepathy One competing for the "Willy Wonka" of tech title. 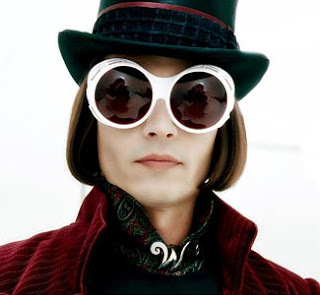 Google Glass challenger Telepathy One competing for the "Willy Wonka" of tech title. You have to hand it to Google, somehow in the absence of Steve Jobs , Sergey Brin and Larry Page have managed to step in and slowly start filling in the shoes of the tech world's Willy Wonka. Google Glass is barely a "beta" product yet (meaning it hasn't launched to consumers yet) and it has already generated a formidable cloud of buzz. The level of ambition in the project, has captured the hopes of millions of techies , and made lots of people believe that its the next "revolutionary" thing. If you throw in Google's Self driving cars , and other projects at Google X, you start seeing the tech "Willy Wonka" aura that the Google founders have been working hard to create. 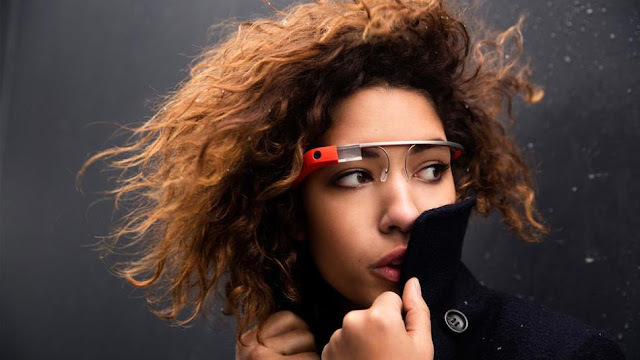 Today, the next level of validation for Google Glass comes, check out Business Insider's coverage here. Now there is a challenger in the headgear wearables space, (or AR heads up display space if you prefer ) trying to innovate cheaper faster better stronger than Google Glass. Having small highly innovative start ups gun for the same product category as Google Glass bodes well for the category as a whole, on the eve of the market thesis being tested in the crucible of consumer electronic shoppers. - heads up display, that positions over the users right eye. - They have also promised camera and video camera integration in the device. Lastly they are claiming that the price will "definitely be cheaper than Google's" . In a way all of this reminds of the CrunchPad hype around the time of the first iPad introduction. There was a cloud of buzz around an Apple Tablet, and the desire of techies was so clear that TechCrunch's Michael Arrington formed a project called the CrunchPad that aimed to deliver an iPad like product but for super cheap and ahead of apple. As i mentioned above this bodes well for Google Glass's future (if they can figure out how to bring the price down) . And i wish Telepathy One the best of luck, and more success than the CrunchPad ever saw.